The 2017 XT5 isn't exactly a carefree new kid in Mr. Cadillac's Neighborhood. Insouciance is something this brand-new midsize crossover SUV can't afford. It was handed a hefty responsibility: replacing the luxury car maker's best-selling model, the SRX. Fortunately for this all-new automobile (and its manufacturer), this is a civil, sophisticated, and able vehicle that's up to the challenge. That's because it's simply a markedly better car than the SRX. The XT5, which competes with the likes of the Lexus RX, starts at $38,995 in base, front-drive form and goes up to $62,500 for the top-of-the-line, all-wheel-drive Platinum model that I tested. The Platinum price tag is a spicy one, certainly, but fair enough given the extraordinary content in this automobile. Its safety/luxury cup runneth over and covereth the entire dance floor. 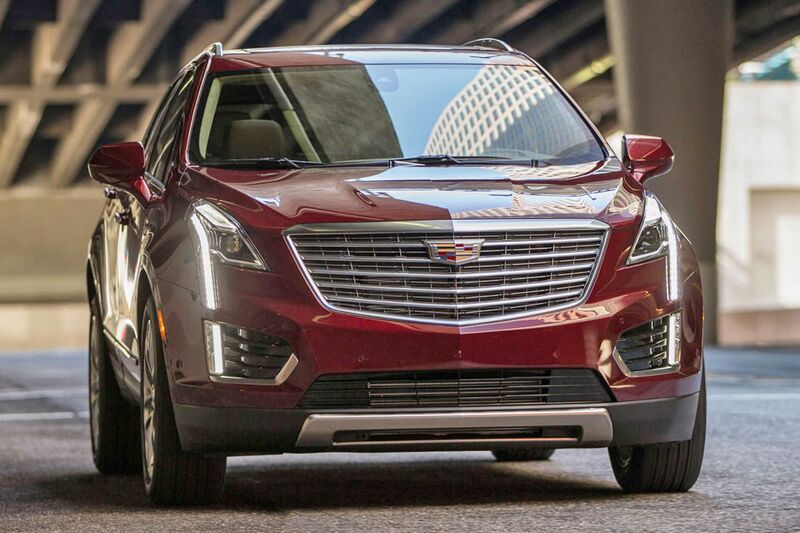 The weight decrease enhances the XT5's agility and fuel economy. The latter is also improved by the cylinder deactivation feature on the car's revised 310-horsepower version of GM's 3.6-liter V-6. That system allows the engine to run on only four cylinders when under light and moderate loads. In the case of the AWD tester, fuel economy could also be helped by disengaging the rear wheels. Also interesting about this car's design is the fact that it is roomier than the SRX (3.2 inches of additional rear legroom, for example) despite the fact it's almost an inch shorter. This was accomplished by stretching the wheelbase and widening the car. The exterior of the XT5 is attractive enough and even distinctive. But the interior of the Platinum model was just gorgeous. That interior featured a color Cadillac calls Maple Sugar. (The people who name car colors must sit in dark rooms for extended periods contemplating their navels.) This beige was used in the upholstery, which included the semi-aniline leather seats and the handsomely tailored leatherette and faux suede materials on the dash. Exotic wood accents set off the Maple Sugar quite effectively. The luxurious feel of the interior was joined by spaciousness and utility. The heated backseat would accommodate three grown men and could be moved fore and aft and reclined. The generous cargo area included a tubular fence on tracks that allowed you to tailor the size of the storage compartment so cargo wouldn't shift. Luxury abounds in this car. There is a Bose sound system, an eight-inch infotainment screen that spews out everything from navigation to XM radio. There's Apple CarPlay, a panoramic sunroof with power shade, heated, ventilated power front seats, and all those electronic devices that keep you from playing bumper cars when you just wanted to drive to Target. Driving this car is pleasant duty. It is exceptionally quiet, for openers. And comfortable, even with the performance suspension in the tester. The tester handled competently, had good power (0 to 60 in 6.5 seconds), responsive steering, and, with front brake discs nearly 14 inches in diameter, stopped in a hurry. The new AWD system is particularly efficient. It continuously adjusts traction to surface conditions, and can even deal with differing conditions on each side of the car. It can direct 100 percent of the power to the front or rear wheels, while the electronically actuated rear differential can do the same laterally. Standard equipment: 3.6-liter engine, eight-speed automatic transmission, all-wheel drive and a bevy of luxury and safety features you wouldn't expect even at this price point. Options: Compact spare and cargo net. Fuel economy: 18 mpg city and 26 highway. Warranty: Four years/50,000 miles bumper to bumper.